Pine, John (1878). The Spanish Armada, 1588. 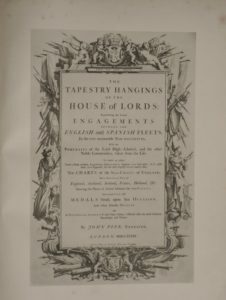 The tapestry hangings of the House of Lords. Boston : Houghton, Osgood & Co.
Pine The Spanish Armada, 1588. 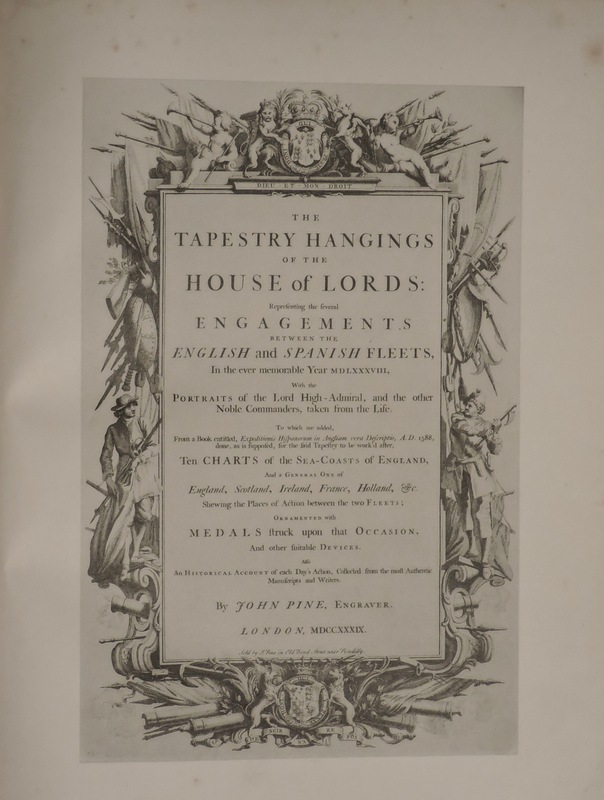 The tapestry hangings of the House of Lords. Representing the several engagements between the English and Spanish Fleets by John Pine, Engraver. 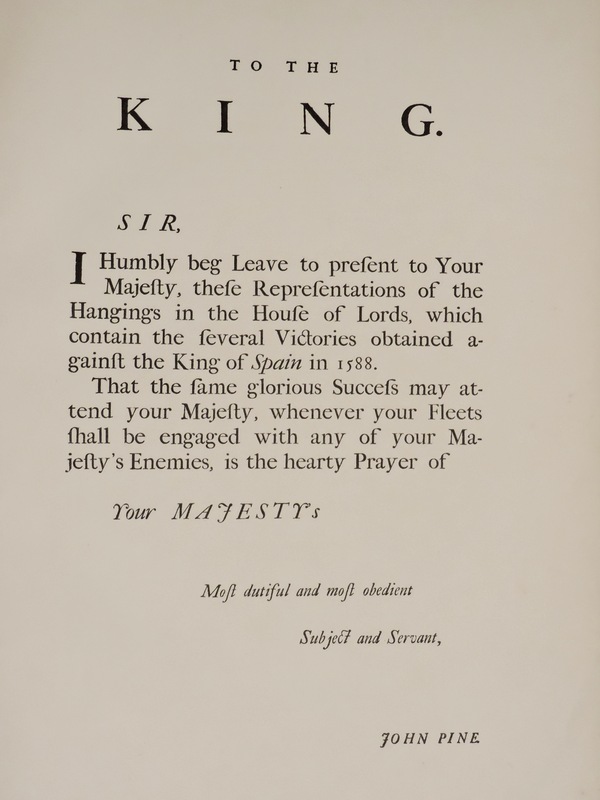 Reproduced in Heliotrope from an original copy in the collection of Charles Hervet Townshend. 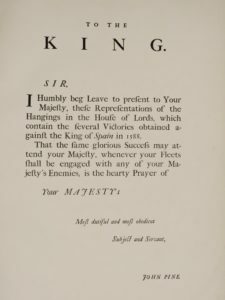 With an appendix containing biographical sketches of the principal English Commanders knighted by Admiral at Sea, July 26, 1588. This entry was posted in Books and tagged Books, Tapestry on September 12, 2016 by fransestapestryarchive.